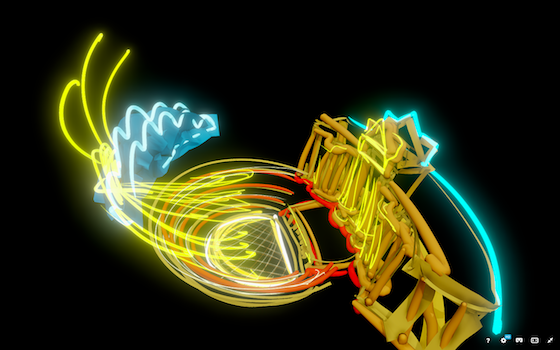 Make music for Paige Dansinger's Palmyra 3D/VR images, paying tribute to the late Bassel Khartabil. This project’s deadline is 11:59pm wherever you are on Monday, August 14, 2017. This project was posted in early afternoon, California time, on Thursday, August 10, 2017. Make music for Paige Dansinger’s Palmyra 3D/VR images, paying tribute to the late Bassel Khartabil. Step 2: Think about the sort of sound that might accompany, contribute to, or otherwise be a component part of a VR experience. Now, record a short piece of music, up to two minutes, that is about something emerging — something being brought to life, or coming out of a cave, or otherwise coming into being. Step 1: If your hosting platform allows for tags, be sure to include the project tag “disquiet0293” (no spaces) in the name of your track. If you’re posting on SoundCloud in particular, this is essential to my locating the tracks and creating a playlist of them. Deadline: This project’s deadline is 11:59pm wherever you are on Monday, August 14, 2017. This project was posted in early afternoon, California time, on Thursday, August 10, 2017. Length: Keep your piece to under two minutes. Title/Tag: When posting your track, please include “disquiet0293” in the title of the track, and where applicable (on SoundCloud, for example) as a tag. Download: For this project, please make sure your track is set as downloadable, and that it allows for attributed remixing (i.e., a Creative Commons license permitting non-commercial sharing with attribution). This is aligned with Paige Dansinger and Bassel Khartabil’s work.